CNN Philippines Celebrates Fr. Rocky as the Champion of Street Children. Our heartfelt gratitude to Ate Mitzy Borromeo and company for their kind support. The trail blazing Prima Ballerina of the Philippines was in Tuloy to inspire and be inspired. 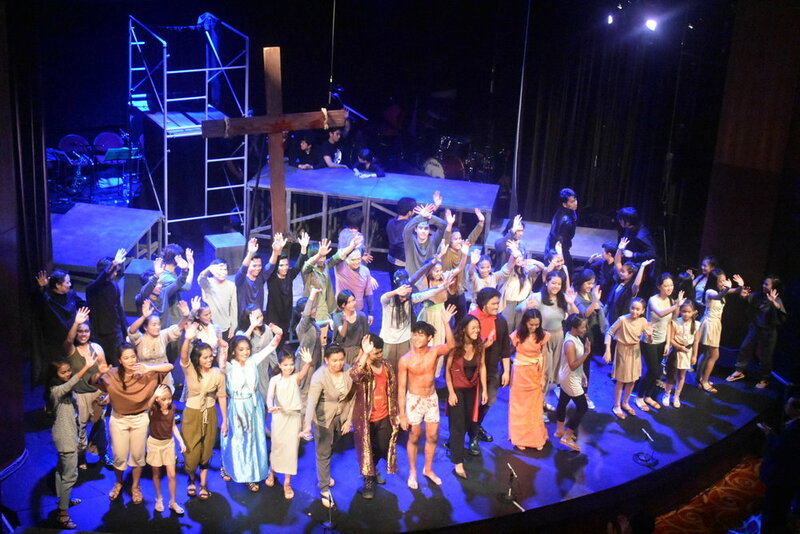 Ballet Manila, which she heads, has been taking in Tuloy kids. This production would not be possible without the help from our sponsors! Special thank you to our sponsors for supporting our eXtraOrdinary performing arts students! SM Lazo Medical Clinic Inc.
Fr. Rocky was clearly ecstatic to the gut when Tuloy Trainees of Refrigeration and Air-conditioning gifted him with money they have saved so that other students can benefit from the Technical Education offered by Tuloy. In his own words Fr. Rocky messaged as follows. “I could not hold back my tears when a group of Tuloy students of the Ref. and Air Con Course gave me 20.880.80 pesos in one peso , five peso, and some 20 peso bills collected thru the year to help in their own little way somebody poorer than they ... hard hard earned money thru begging, carry loads at night Widow's mite talaga!!! What a humbling and inspiring and example from our Tuloy kids. Thank you friends and benefactors for helping this transformation of our kids. 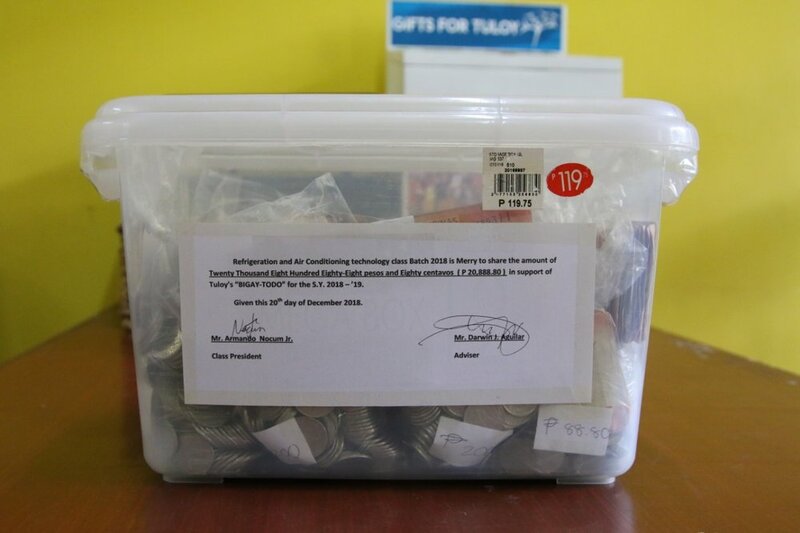 BusinessWorld reports on Enderun fundraizer for Tuloy Culinary Students. Join us at Harvest of Hope, a dinner for the benefit of the Culinary Center of Tuloy Foundation. 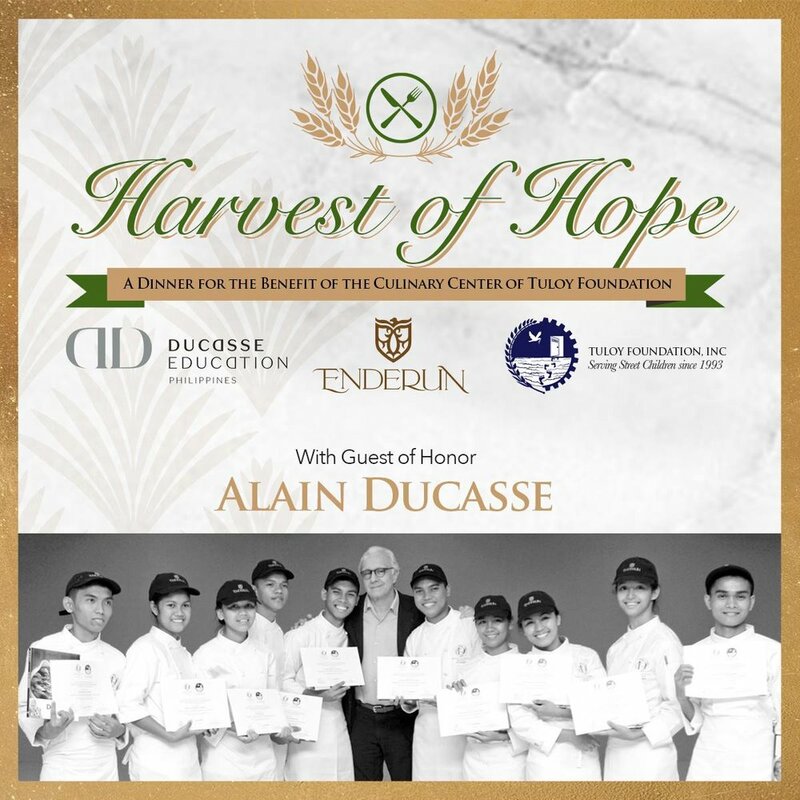 The dinner will be held on November 27, 6:00 PM at The Tent at Enderun Colleges with Guest of Honor, Alain Ducasse. "XO field for XO kids" in Tuloy sa Don Bosco Street Children Village was featured in ABS-CBNs The Score. The Tuloy Foundation children and staff are truly grateful to Mr. Raymond Tan and his friends for making our XO field a dream come true.